Delran Rancher with Full Basement! 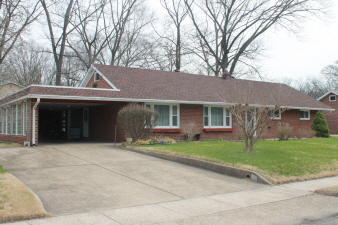 Ideal Location, for this easy maintenance Ranch in the old Cambridge section of Delran. Many major systems have been updated including Roof, Windows, Doors, and Gas heater! Use your imagination to redesign and decorate this solid brick home featuring hardwood floors under carpets. 3 Bedrooms, 1.5 baths, Oversized Living room with lots of sunlight, custom cabitets, and electric fireplace. Dining room with rear access, Eat-in Kitchen & all exisiting appliances stay. Full basement is partially finished, 3 built in sheds beyond the spacious carport. Central Air, Double car width driveway for off street parking, Fenced in rear yard, wide quiet street with easy access to local marinas, restaurants & bakery. 1 Year HSA Home Warranty included for buyer! Adorable and inviting!